privately funded economic development organization focused on job creation. Our mission is to attract new employers to the Buffalo Niagara region through outreach to growing companies around the world. organizations and elected officials to deliver a unified response to regional economic development opportunities. and confidential services to companies considering the Buffalo Niagara region, particularly for the first time. Our on-site staff brings a wide range of expertise in areas of business development, client service, real estate, finance, research, marketing, event planning, graphic design, and public/Investor relations. Each individual staff member brings a vital set of skills to the team. Get to know us! Want to join our team? We are currently seeking a Research Associate and a Temporary Business Development Associate. Apply today! 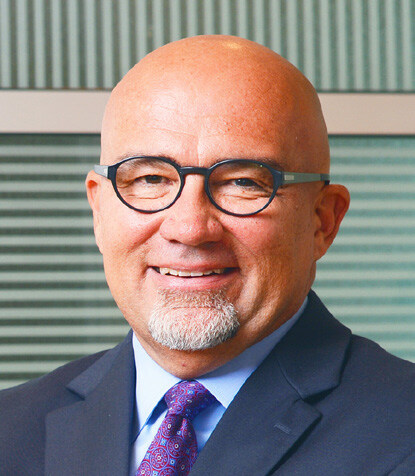 Thomas A. Kucharski has served as President and CEO of Invest Buffalo Niagara since 2000. Under his leadership, Invest Buffalo Niagara has grown from a start-up initiative to an innovative regional economic development organization that has secured more than 400 successful project wins representing $4.4 billion in investment in the region and over 42,000 jobs created and/or retained. From the onset, Tom helped Invest Buffalo Niagara form strong, enduring partnerships with business, development and academic leaders throughout the Buffalo Niagara region. Today more than 150 organizations work with Invest Buffalo Niagara to provide support and expertise to companies from the U.S., Canada and other parts of the world looking to set up shop in Western New York. Within Invest Buffalo Niagara, Tom has championed initiatives such as compiling business data that is tailored to specific industry sectors within the region and building an advanced research department offering innovative, state-of-the-art data and GIS mapping capabilities through the Buffalo Niagara Commercial Listing System (CLS). The Invest Buffalo Niagara Business Development team has, under Tom’s tutelage, made major strides in improving the economic service delivery system, including a one-stop, client oriented business development system and the first ever Uniform Development Incentives Policy agreed to and applied across the region. The creative Marketing Department at Invest Buffalo Niagara has been recognized nationally, regionally and state-wide for its PR, promotional, industry-based, social media, advertising and web-based marketing by winning over 175 awards including a majority at the Gold and Best of Class level. The pinnacle of these efforts came at the 2014 International Economic Development Council’s annual meeting where Invest Buffalo Niagara was recognized with the inaugural “Best in Show” award for its “Are You Right for Buffalo” video that was selected from over 600 entries world-wide. Tom has been a Certified Economic Developer since 1992. Before joining Invest Buffalo Niagara, he headed up the Lehigh Valley Economic Development Corporation in Eastern Pennsylvania, and prior to that served as executive director of the Horizon Council of Southwest Florida, a regional public/private partnership that included Sarasota, Ft. Myers and Naples. He is recognized nationally for his work in the economic development industry and is often quoted and referenced in national publications such as The New York Times, The Wall Street Journal, Forbes and Newsweek, as well as numerous trade and industry publications. Tom has participated in several significant initiatives in the states that he has worked. In Florida, he participated in Governor Chiles’ fifteen-member commission that eventually privatized economic development, foreign direct investment efforts and tourism into Enterprise Florida. While representing the state on the Southern Economic Development Council (SEDC), Tom was named the 1990 Florida Economic Developer of the Year. In Pennsylvania, he applied his Florida experience to assist Governor Ridge’s twelve-member committee that privatized these same functions into Team Pennsylvania. For those efforts, he was gain honored as the 1998 Pennsylvania Economic Developer of the Year. In New York State, he has assisted Governor Cuomo’s administration with the formation of the successful Regional Economic Development Council (REDC) model. He serves as an active member of the Western New York REDC where he Co-Chairs the Global New York Foreign Direct Investment initiative. . His other professional accomplishments include serving as a Board Member and Chair of various committees of the International Economic Development Council for over ten years. He is also an Executive Committee Member of the New York State Economic Development Council (NYSEDC) and was selected by his NYSEDC colleagues as the 2014 Economic Developer of the Year. In 2007, he received the Meritorious Service Award from the Western New York Chapter of the New York State Commercial Association of Realtors. 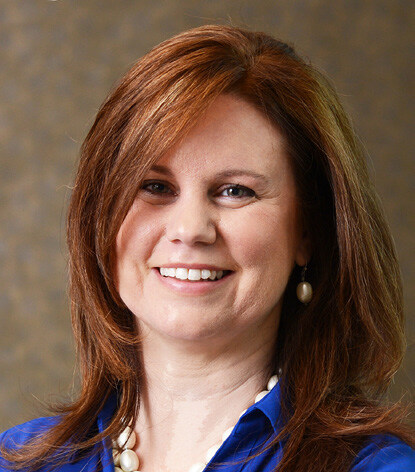 Jenna Kavanaugh serves as the Chief Operating Officer for Invest Buffalo Niagara. Jenna sets the strategic direction of the organization, manages and directs the day to day operations, and is focused on driving continuous improvement to advance their economic development approach. Jenna raises profile of the Buffalo Niagara region as a viable place to operate and grow a business through market intelligence research and industry outreach strategies. Prior to becoming Chief Operating Officer, Jenna was Invest Buffalo Niagara’s Director of Marketing & Communications. Jenna also designed and managed the inaugural 43North Business Plan Competition entrepreneur experience and awards ceremony. She’s an experienced story teller and has showcased Buffalo’s renaissance by producing videos such as Are You Right for Buffalo?, Next Things Now, and The New Buffalo. In 2016, Jenna championed the Rise of the Rest Tour (Steve Case) as the Community Liaison to showcase the area’s startup scene; recognized by Rise organizers as top visit. 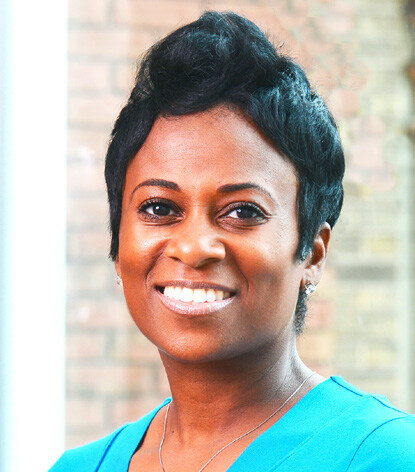 Jenna has more than 20 years of marketing management experience focused on brand and business development. Prior to joining Invest Buffalo Niagara, she was Marketing Director for Visteon Aftermarket, where she was responsible for brand management, strategic development, and communications for underhood automotive aftermarket product lines. Jenna earned a bachelor’s degree in Literature with concentrations in Theater Arts and Writing from Canisius College. Jenna is a Say Yes Buffalo Mentor and a graduate of Leadership Buffalo. 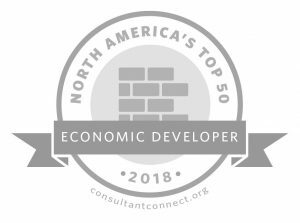 In 2019, Jenna was named one of North America’s Top 50 Economic Developers. Director of Business Development Alan Rosenhoch is passionate about marketing the Buffalo Niagara region nationally and internationally. With a focus on the life sciences and advanced manufacturing industries, as well as early-stage companies, he works with companies to determine their needs and then facilitates relationships that will help that company bring its business to Western New York. Alan believes follow-through is the most important service he and the rest of the Invest Buffalo Niagara staff provide and is the foundation for Invest Buffalo Niagara’s success as an organization. A Buffalo native, Alan holds a Masters in Business Administration from the University at Buffalo’s Professional MBA program and a bachelor’s degree from the University of Toronto with concentrations in political science and sociology. He is a member of the board of directors at Spirited Athletes Bold At Heart (SABAH) and serves as an officer on the board of trustees for the Kadimah Academy of Buffalo. He is an avid fan of both the Sabres and the Bills, and enjoys playing recreational soccer and softball in his spare time. Lorrie Abounader, who was born and raised in Buffalo, joined Invest Buffalo Niagara’s Business Development team in 2008. She works primarily with companies in the Logistics and Data Center/Back Office industries that are considering relocating or expanding in the Buffalo Niagara region. Lorrie’s background in geography and her knowledge of regional incentives give her a unique perspective on issues of importance to business owners. 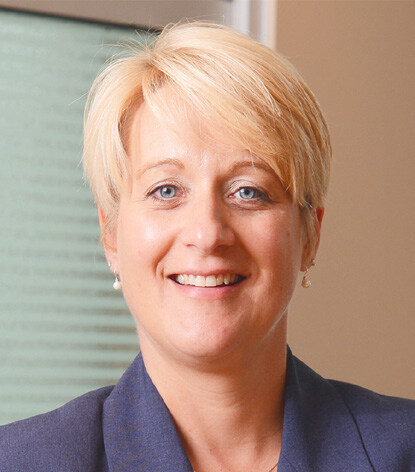 Prior to joining Invest Buffalo Niagara, Lorrie worked at Buffalo Economic Renaissance Corporation, the economic development agency for the City of Buffalo. She served as coordinator of the Empire Zone, where she helped businesses acquire certification in the New York State tax incentive program, and as administrator of the federal government’s Renewal Community tax incentive program. Lorrie attended the State University of New York College at Geneseo, where she majored in geography and minored in business management and art history. She earned a master of arts in geography at the University at Buffalo, with an emphasis on urban development. Buffalo native Carolyn Powell is a member of Invest Buffalo Niagara’s Business Development team, where she focuses on the Canadian market. She is an integral resource to Canadian companies seeking to establish a U.S. location, especially as they navigate issues of international due diligence such as immigration procedures, business setup, workforce, and locating needed local resources. Since joining Invest Buffalo Niagara in 2008, Carolyn has helped 40 Canadian companies expand into the Buffalo Niagara region, representing over $500 million in investment and more than 1,400 jobs. Carolyn also works with businesses involved in food processing and agribusiness, such as yogurt, protein products, and vegetable processing. Many of these companies are headquartered all over the world. In addition to providing expertise on supply chain resources, logistics, and other issues, she educates businesses on state and local incentives available in the Buffalo Niagara region, such as low-cost hydropower for manufacturing. Prior to joining the Invest Buffalo Niagara, Carolyn served as General Manager at HQ/The Regus Group, providing Fortune 500, mid-size, and start up American and Canadian companies with executive office space and US Address services. Carolyn was a member of the Leadership Niagara Class of 2010, is certified as an EDFP (Economic Development Finance Professional) by the National Development Council, has completed courses with the New York State Economic Development Council, and earned bachelor’s degrees in marketing and management from Canisius College. Carolyn’s professional organization involvement: board member and chairperson of the PR Committee for Working For Downtown, strategy leader for Leadership Niagara’s ongoing classes, and former Associate Director and current member of New York State Commercial Association of Realtors. Olivia Hill proudly serves as a member of the Business Development team at Invest Buffalo Niagara. In her role as the business development Specialist, Olivia is responsible for managing a pipeline of new business expansion inquiries, generating leads to recruit key businesses to the region, and assisting the business development staff in their business attraction efforts. Before joining the team at Invest Buffalo Niagara, Olivia served as the Deputy Director of the Hamburg Industrial Development Agency, where she managed the financial incentive component for businesses seeking tax exemptions for new facility construction or existing business expansion in the town of Hamburg. Olivia has always had a love for the Buffalo Niagara region which pairs well with her BA in Urban Studies and Sociology from Canisius College. Although she loves many things about this region, the food scene tops her list. Like many Buffalonians, Olivia is not afraid of the cold and can be found enjoying an ice cream cone no matter the weather when she’s not in the office. 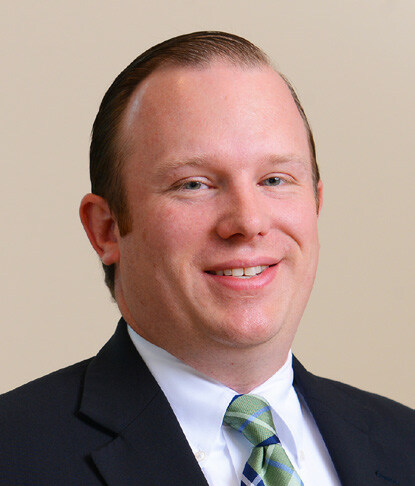 Buffalo native Matthew Hubacher serves as Research Manager at Invest Buffalo Niagara. He works diligently to provide timely economic, industry, and community information that is critical to businesses looking to expand their operations or relocate to Buffalo Niagara. The data are also used to support and enrich the marketing and business departments of Invest Buffalo Niagara for lead generation efforts. Matthew’s other responsibilities include company identification, data mining, and researching, developing, and maintaining multiple databases. Before joining Invest Buffalo Niagara, Matthew worked on Capitol Hill as a Legislative Assistant for U.S. Congressman Tom Latham for five years. Matthew holds a master’s in Education Policy from the University of Maryland-College Park and a bachelor’s in Secondary Education from Niagara University. Sarah Larson was named Marketing Manager for Invest Buffalo Niagara (InBN) in July of 2017. Her role is a mash-up of brand marketing, lead generation, and project management, with expertise in graphic design, website development, creative campaigns, and injecting innovation across digital platform strategies. Sarah has the privilege of leading a smart, talented, three-person marketing department, its operations, budget, and effectiveness. 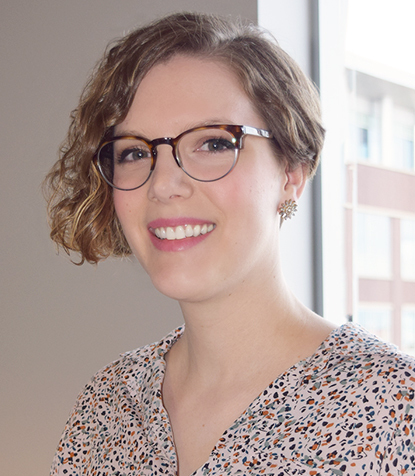 Sarah previously served as InBN’s Senior Graphic Designer and eventually focused on Website Management, where she led the 2015 site re-launch and initiated proactive, multimedia lead generation efforts. She has supported partner campaigns, marketing materials, and events. Sarah enjoys building relationships and solving problems. Most importantly, she enjoys translating goals into successful online strategies. InBN’s most recent recognitions are for it’s Relocation Guide and accompanying social media outreach, earning the 2017 PRSA Excalibur Gold Award, and its Economic Development Week Campaign, receiving the silver award from the International Economic Development Council. InBN’s website – BuffaloNiagara.org – has been recognized with several awards and is now the second largest lead generation source for InBN’s project pipeline. Before joining InBN in 2004, Sarah spent more than five years at WKBW. She served as a Graphic Designer handling brand visuals, promotional materials, advertising, and event design. Sarah also contributed to on-air graphics, animated promotions, and talent photography. Sarah has a Bachelors of Fine Arts in Graphic Design from the Rochester Institute of Technology. She channels her creative energy through volunteerism. In particular, Sarah has spent many years serving her childrens’ Parent Teacher Organization board, using her passion for education and children in the community. When not working or volunteering, Sarah can be found spending quality time with her husband and three children. Graphic Designer Casi Hall proudly creates a full range of marketing materials boasting the beauty and benefit of her home, the Buffalo Niagara region. 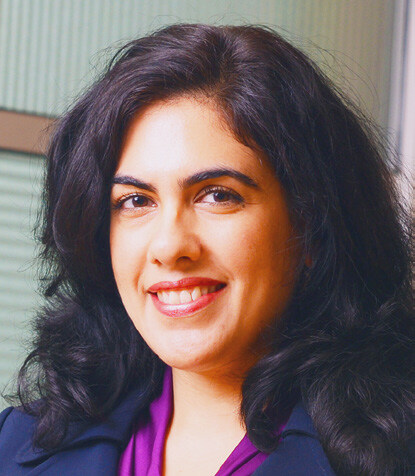 She divides her time designing materials for Invest Buffalo Niagara, Buffalo Niagara Partnership, and Invest Buffalo Niagara’s partner organizations. With a background in marketing design and a focus on brand strategy, Casi works full circle to ensure her designs are as intelligent as they are beautiful. After graduating from Oswego State with a BFA in Graphic Design, Casi moved Troy, NY for 5 years, never losing her Buffalo pride. As a repat she is relishing in all of the exciting activities the region has to offer. As the content and digital marketing associate, Greg Pokriki has the privilege of writing about the bustle and beauty of Buffalo Niagara, and those that make it so. Greg serves on the AAF Buffalo Board of Directors, fostering a creative community. He has previously been published in the Rochester Business Journal, Buffalo Spree, and several online-only publications. Greg was born and raised in Buffalo, fostering a fondness for the region from his earliest days. Though quite clearly unreciprocated, he loves the Buffalo Bills (between you and him, he thinks this is our year). Greg is a writer, St. John Fisher College graduate, and copy editor of his father’s email. He also writes his own bios. Treasurer Michael O’Brien, Key Bank, N.A. Hodgson Russ LLP, Rick Kennedy Uniland Development Company, Carl Montante, Jr.
Hunt Real Estate, Peter Hunt Walsh Duffield, Edward F. Walsh, Jr.